Rajat Tokas will play the lead in Nandita Mehra and Bhairavi Raichura's romantic thriller on COLORS..
TellyBuzz was the first to report about Bhairavi Raichura and Nandita Mehra turning Producers with a romantic thriller on COLORS. Their production house named '24 Frames' will be a daily that will launch post IPL. The latest on this is that Rajat Tokas who played Robindo in Star Plus' Tere Liye has been roped in as the lead of the show. The search for the female lead is still on. Our source states, "This show will provide a different flavour to the viewers, and will be something different from the typical saas bahu sagas. 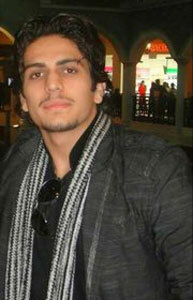 Rajat Tokas has been finalized to play the lead. The show will go on floor once the remaining cast gets locked". We had already written about Vineet Kumar of Gunahon Ka Devta fame playing the negative lead. We tried contacting Rajat Tokas, but the person who took our call asked us to call later. Our efforts to reach Nandita Mehra were in vain. For the uninitiated, she is the Director of the long-running show, Uttaran.